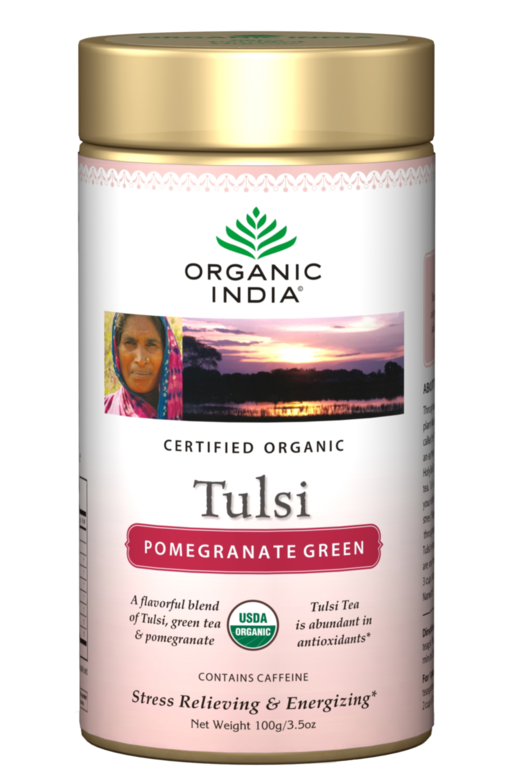 Treat yourself well with the bright burst of berry and pomegranate, infused with green tea, tempered with the elegance of citrus and the spice of Tulsi. Antioxidants and flavor guaranteed. This herbal tea mix is not caffeine-free as it contains green tea. How to prepare this tulsi: a tea spoon of tulsi mix per cup. Add boiling water and let it infuse for 5 minutes. Organic India stands for premium quality, support to the environment and promotion of sustainable organic agriculture since 2006. 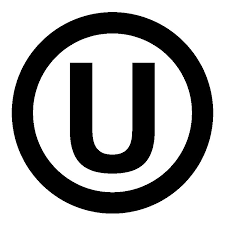 It was created by practitioners and supporters of Ayurvedic herbal medicine in Lucknow, India. Not being satisfied with the quality of herbs available on the market, they began growing and collecting their own herbs and developed the delicious and health promoting Tulsi Tea Collection. Through this process, Organic India has helped farmers to regenerate tens of thousands of acres from contaminated and depleted land into healthy, productive farmland. Organic India uses certified organic products only. Organic agriculture adheres to globally accepted principles, which are implemented within local socio-economic, climatic and cultural settings. Through organic agriculture, farmers learn healthy, sustainable farming practices. As organic agriculture enriches the soil season by season, it increases the long-term yield, nutrient value and potency of the crops. It allows for a naturally clean water supply, and prov ides overall richness, health and well-being of their families, livestock, farmlands and communities. Organic India is committed to responsible packaging. The tea package carton is made from 100% recycled paperboard, with a minimum of 30% post-consumer content. Please recycle again. Our tea bags are made from unbleached, biodegradable fiber. In India, the herb Tulsi (Ocimum sanctum) is also called “holy basil” has been widely known for its health promoting and medicinal value for thousands of years. Tulsi is a principal herb of Ayurveda, or ayurvedic medicine, traditional medicine sytem in India that has been used for the last 5000 years. Please note that this product is not intended to diagnose, treat, cure or prevent any disease.